A 1960 Hillman Minx, affectionately called “Betty” by the car owner’s family, which has been off the road for the last eighteen years has been donated to Coventry Transport Museum. 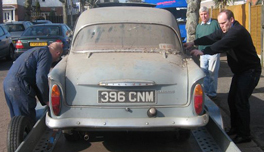 An engine problem caused the end of its travels and the owner couldn’t bear to see the car scrapped or sold. 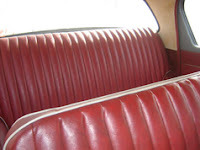 The car is thought to be one of just five left in existence, due to the Easidrive automatic gearbox system in it. 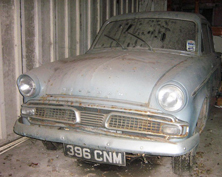 It will begin being displayed “as found” but a restoration of the vehicle is planned for a later date. “It’s not suffering from the level of rust that we would usually see in such a vehicle, and the interior is particularly immaculate. This will extend the museum’s collection of Minxes, which also has another of this owner’s previous cars, which was donated in 1991 - a 1967 Super Minx estate. The Hillman Minx was a car produced by Rootes at its Ryton-on-Dunsmore plant for nearly forty years from the early 1930s to the end of the 1960s. Wonderful piece of motoring history.